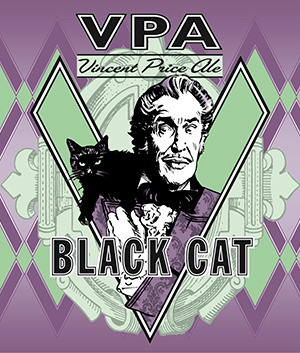 An American IPA wrapped in a dark black cape. 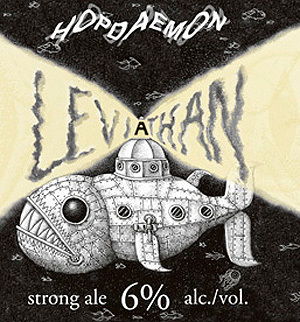 The smooth malty background is complemented by a crisp vibrant New World aroma from the Hopdaemon's own expressive hopping regime. An aromatic copper-coloured pale ale brewed from the finest malted barley and Kentish hops for a refreshing taste and a fruity finish. 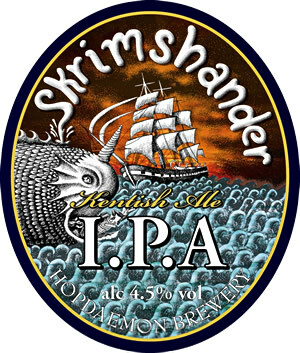 Deliciously fruity with spicy citrus hop aromas, SKRIMSHANDER goes well with good food and fine friends and has the clean fresh taste and dry hoppy finish of a great Kentish ale. A golden 'HELLES' beer with luscious tropical fruit aromas and a crisp clean finish. 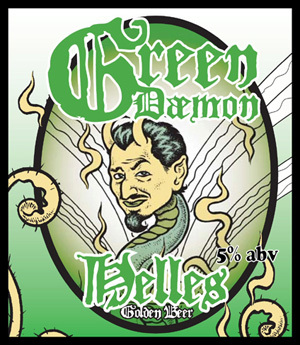 Brewed naturally from the purest ingredients and true zymurgy, GREEN DAEMON is devilishly good with curries, seafood and fusion dishes, or simply to enjoy on its own. 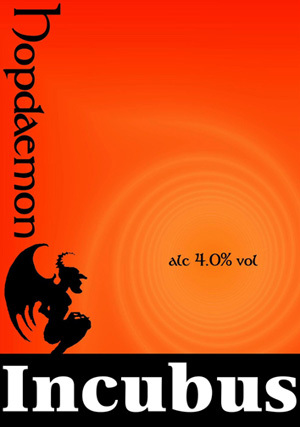 A strong ruby ale with spicy hop aromas and a rich malty finish. Brewed from the finest malted barley and Kentish hops this 'BEAST' of a beer is deceptively easy-drinking for its strength and is conditioned naturally in the bottle to produce a sparkle and sediment characteristic of all great living beers. A refreshing golden session bitter, wickedly hopped with East Kent Goldings and Challenger. Citrus hoppy notes with hints of marmalade and a crisp clean finish. 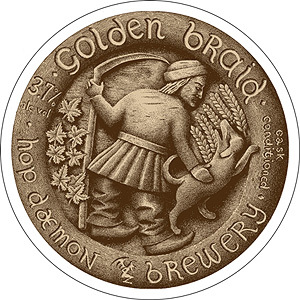 A bronze-coloured special bitter brewed with Challenger and Kentish Cascade hops to give a superb aroma and a smooth malty finish.